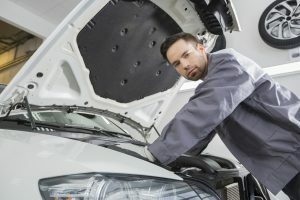 Is your car causing you more grief than relief? It could be that you need to see a mechanic, or it’s time to get yourself a new set of wheels. But before you take that last drive to the dump, are you sure it’s time to replace your vehicle? Previously, you can drive hundreds of kilometres without any issues. These days, you’d be lucky to make it to the end of your street without your car giving up. As your car ages, in addition to poor maintenance, several parts start breaking down. These can include the transmission, engine, and so much more. Although home repairs are possible, you will soon notice that these become more frequent than before, and replacing parts becomes the norm. It can cost you a lot of money, especially if you are driving an older model car with hard to find parts. Dashboard lights are your car’s way of telling you there’s something wrong. Now, it’s always advised to get right on to it when something lights up, but if it’s all the lights at once, and if you can’t figure out what’s wrong, then that’s a sure sign of a more significant problem. Like with repairs, you can fix it all and get them to shut off, but if a light goes on as soon as you hit a bump, all while another light turns off, it can be a more significant underlying problem. The more you use your car, the higher the odometer goes. As soon as it hits the six-figure mark, you can expect it to start showing its age. At first, it will be little sounds that weren’t there before, eventually breaking down at the most inconvenient time. Before long, you’ll find yourself spending a fortune just making sure that it continues to run as it should, but let’s face it; it’s only a matter of time before it needs to retire finally. Modern cars have all sorts of technology that helps them go further on a single gallon of petrol. These features ensure you get more out of a tank of fuel. 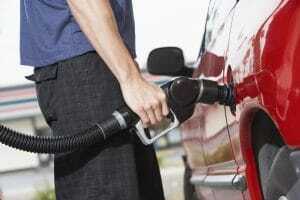 Now, a lot of older vehicles will use more fuel. That means more stops at a petrol station, and more money spent. Overall, owning an older vehicle will have you spending more money compared to maintenance on a modern car. That’s why it’s always best to keep up with the times and drive a more money-efficient vehicle among other things. The best way to guarantee that you always drive a reliable car is through a car lease, where you can upgrade to a new car every couple of years. That way, you will never have to worry about getting rid of the old one, you can return it or have the choice to purchase it at the end of the term. Enjoy this, and other car lease benefits today!